Today we will change the usual order of the narrative and start it a short story before we proceed to the technical updates. It’s just another little scene from the adventures of Roy and Eileen in the jungles of ARK. For those that did not catch the idea, we will talk about the new part of the Motion comic Lost in Sky. What skills should the heroes have? Inhuman force, gumption, courage and, of course, excellent hearing. Roy and Eileen have no problems with the last one, so they can hear an unusual sound that stands out against the background of the rest of the wildlife noise, almost immediately. Despite the fact that they could not be caught unaware, the characters have mixed feelings from what they saw, although everyone understands that it is quite unlikely to find something delightful in the jungle. Regarding the technical part, we will review the new Boss, which is currently in an active development stage – straight out of the oven. Do you think that it makes sense to be afraid of a tree, if it is huge and has something resembling eyes on its trunk? We think that the answer is obvious – yes, it makes sense. Now directly about the mechanics of the tree Boss. 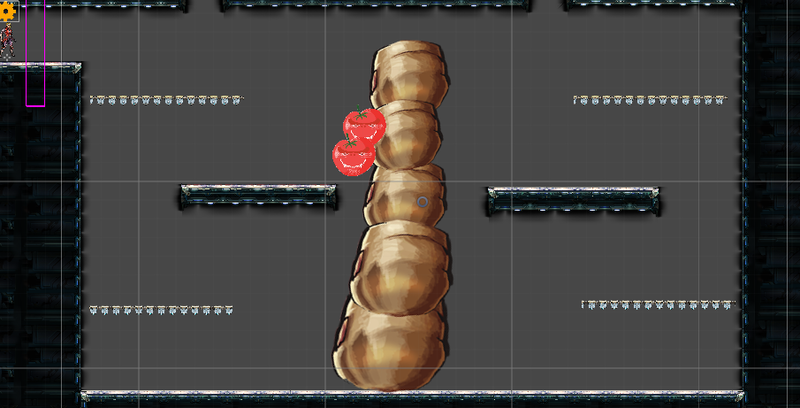 Very high , static boss, located in the arena with platforms on three levels. – passive state: on the branches of the tree, “the crop ripens” and the fruits need to be knocked down. The fruits are dangerous, they explode, and those that do not explode turn into aggressive tentacles. – Active state: at one of the levels the fruit-eye is opened, which can only be attacked from the bow. The eye actively shoots long-range attacks, and in parallel, the tree itself is actively swinging tentacles in the horizontal plane. As you can see, when fighting this boss you will need the skills of both characters. Only harmonious work and the most effective skill usage will help to overcome the huge tree. 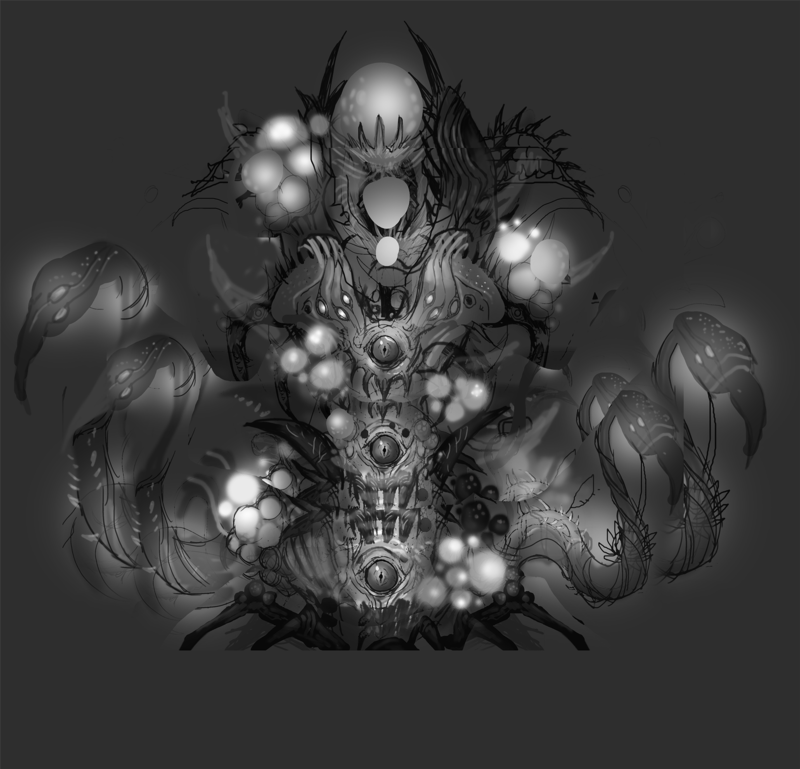 Finally, we want to show you an early sketch of the boss – not a fact that the final version will be the same, but the general idea will persist.